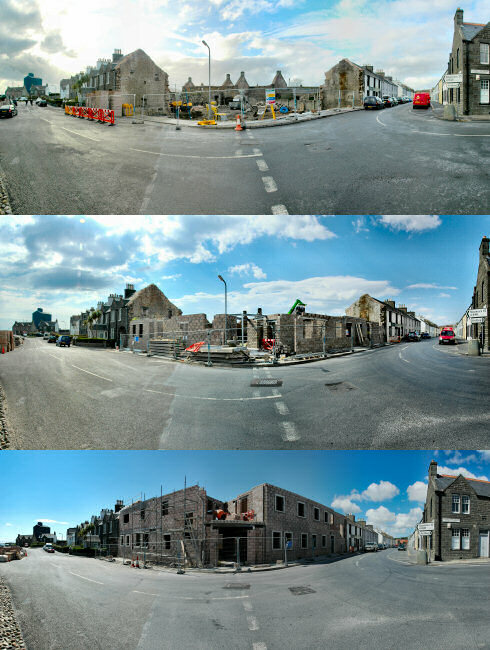 For an overview please visit the Islay Hotel Port Ellen Panoramas, all three panoramas are linked from there. Or if you're too impatient just follow these links: Islay Hotel Oct 2007, Islay Hotel Apr 2008 and Islay Hotel Jul 2008. I'm hoping to add the next panorama by the end of October, after my next visit to Islay, planned for late October. I hope you will enjoy the panoramas and that they give you a good overview of the progress at the site. At this point I only have views of the front, although I also have pictures for at least one panorama of the back of the building (from July 2008). I'll add that over the next few weeks and look at my older pictures for previous views.